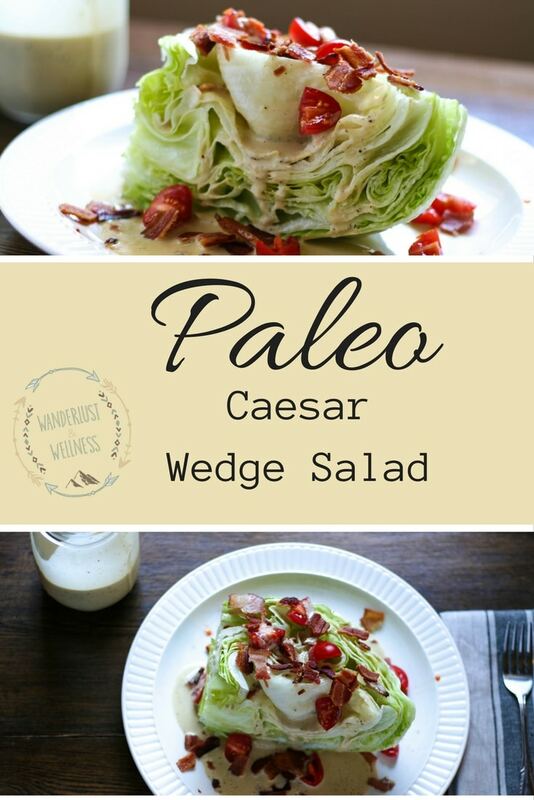 Wedge salads are one of my favorite salads of all time. 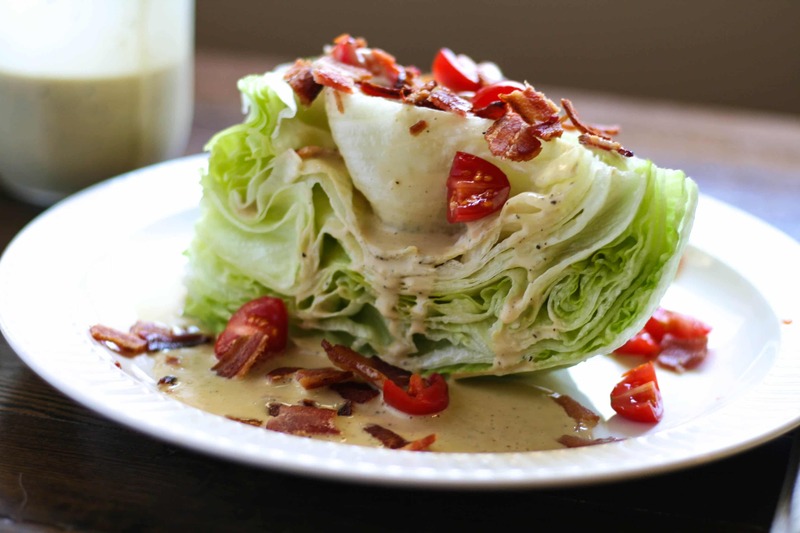 I know, I know, the iceberg lettuce probably packs the least amount of nutritional value compared to other greens but I LOVE wedge salads! There are also many variations, especially when it comes to dressings, that you’re left with several options for mixing things up. 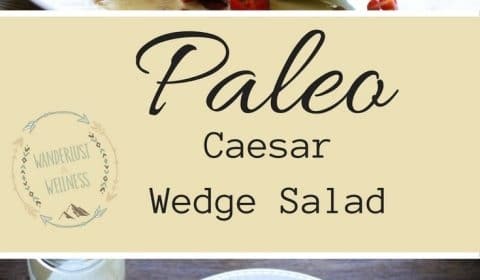 This Paleo Caesar salad uses a homemade Caesar dressing that is dairy-free, double win! When I first tested out this dressing recipe I was a little scared to incorporate the anchovy paste. Yikes! But that’s a key ingredient in any good Caesar dressing! I would also suggest using light tasting olive oil to lighten up the strong EVOO taste. This dressing was another husband and kid (well, my one kid who actually eats salad) approved! Add on whatever toppings you’d like. I like bacon and tomato on my wedge salads. You could even add on some Blue Cheese or Gorgonzola crumbles if that’s your thing. Slice lettuce head into 4 wedges and set aside. Slice cherry tomatoes in half, set aside. Cook bacon slices and let cool and then crumble. Combine all dressing ingredients except olive oil and coconut milk in a food processor. Pulse until well blended. Slowly blend in olive oil until well combined. Slowly blend in coconut milk until well combined. 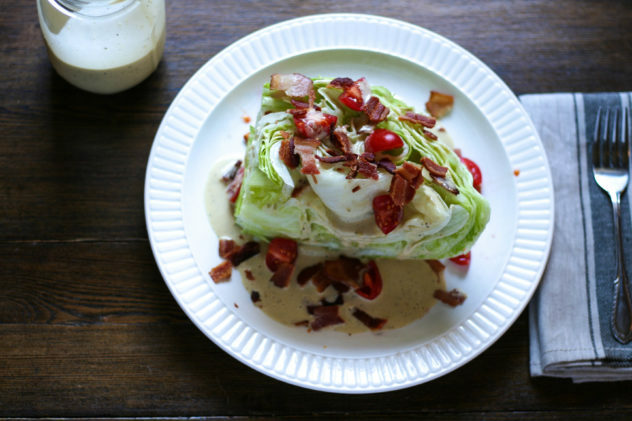 Assemble wedge salad and serve.